CHRIS UHLMANN: The second Hazara man to be deported by the Australian Government against his will says he fears for his life in Kabul. The Immigration Department rejected the man’s claim that his job involved driving through Taliban areas, saying he’d be safe if he settled in Afghanistan’s capital. But refugee advocates say his claim should be reconsidered because it’s very similar to a case heard by the High Court last week. South Asia correspondent Stephanie March reports. STEPHANIE MARCH: Since returning to Afghanistan last month, Abdullah spends his days at a guest house in Kabul, too scared to venture out into a city he barely knows. ABDULLAH (translated): Once when I went to the market to a shop and someone was following me. He came close to me and asked if I was Abdullah. And I said no, and he said yes you are and you were deported from Australia. I just ran from that area. STEPHANIE MARCH: The interaction may not seem threatening but to Abdullah it is. He says his 18 year old brother, Abas, was murdered in his home province of Jaghori three months ago. ABDULLAH (translated): When I went to Australia people in our area were saying Abdullah, son of Bustan has come to Australia and has become a Kaffir, a Christian, and he has left Islam. He is drinking alcohol so he is a Kaffir. So now I’m back, they think I’m a Kaffir, so they’ll kill me. STEPHANIE MARCH: Abdullah, who doesn’t want to use his full name, arrived in Australia in May 2012. He says before he fled Afghanistan he owned a truck, and with a driver he’d transport goods from his home in Jaghori to Heart, during which time he was harassed and threatened by the Taliban. Australian authorities didn’t believe his claim. 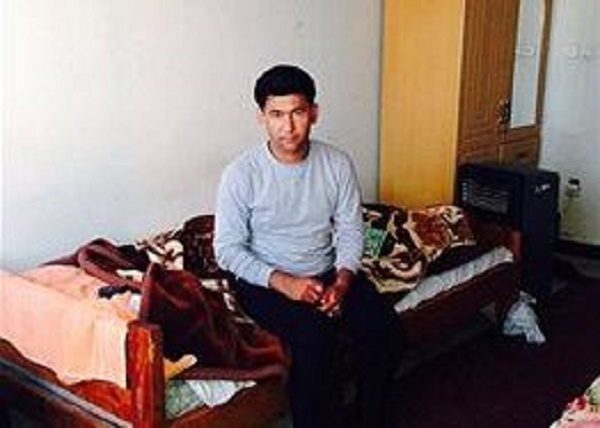 They found he could face danger if he returned to his home province of Jaghori but he would be safe if he moved to Kabul where he has an uncle. He says his uncle was killed years ago and he doesn’t know anyone in the city. ABDULLAH (translated): I am feeling very scared. Regarding the job, I should say there are hundreds of people here who are educated who don’t have job, so how should I find job? STEPHANIE MARCH: Last week the High Court in Australia ordered the case of another Afghan asylum seeker who claimed to be a truck driver be reviewed. The court found the Refugee Review Tribunal didn’t properly consider whether it was reasonable to expect the man to remain in Kabul and not drive trucks in other parts of the country. Ian Rintoul is from the Refugee Action Coalition. IAN RINTOUL: Abdullah should be brought back to Australia because the parallels between Abdullah’s case and the case in the High Court are very, very close indeed. STEPHANIE MARCH: Refugee groups say nine more Afghan asylum seekers are facing imminent deportation and are calling for their cases to be reviewed. IAN RINTOUL: It is very clear to the people who have been forcibly returned so far that Afghanistan is an unsafe place and that that in itself should be enough for the Government to review. STEPHANIE MARCH: Back in Kabul, Abdullah is negotiating with the guest house operator to let him stay. He’s been told he has to leave by the end of the week. He says he told Australian authorities before he was deported that his brother had been murdered and now he worries he too might soon suffer the same fate. ABDULLAH (translated): I can’t go home and I can’t stay in Kabul. I am just trying to find some money to try and go somewhere else, to European or Western country or somewhere else, because I think if I stay in Afghanistan I will be killed. STEPHANIE MARCH: He says he hasn’t ruled out trying to flee to Australia again. This is Stephanie March reporting for AM.